Shanghai Concert Hall was founded in 1930, originally named Nanking Theatre. 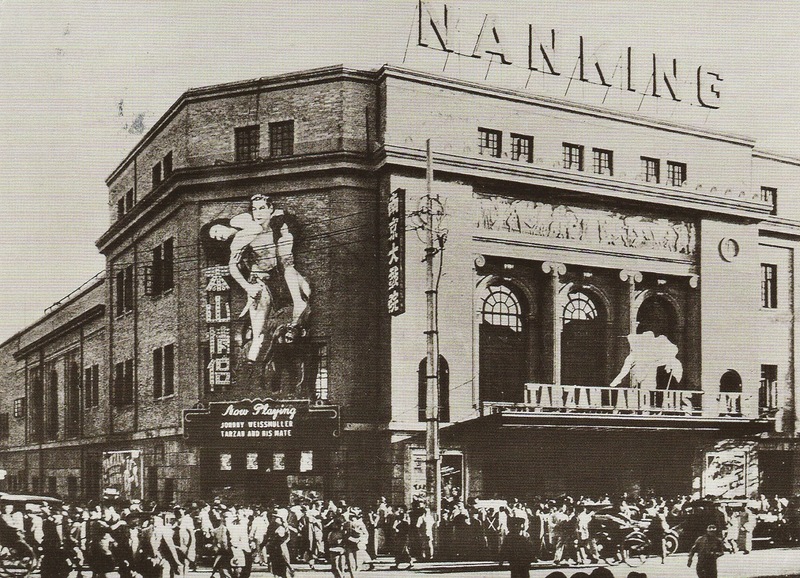 In 1949, it adopted the name Beijing Cinema. In 1959, it was named Shanghai Concert Hall till today. The building was designed by the Chinese architect Fan Wen-jiao. Now Shanghai Concert Hall can accommodate 1,122 seats, 640 on the ground floor and 482 on the second floor. I got this postcard via postcrossing from the Netherlands. You can see the advertising for the movie Tarzan and His Mate (USA, 1934) with Johnny Weissmuller and Maureen O'Sullivan.